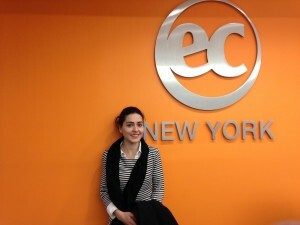 I can recommend EC English- New York because of the friendly atmosphere and you can meet many different people from all across the world. I discovered so many things in New York. Now I’m feeling more confident in my English and planning to do an MBA in New York. I hope I will come back again! Good luck for everyone! Good luck to YOU, Pelin! For more information about the variety of courses we offer at EC New York, check out our course site here.